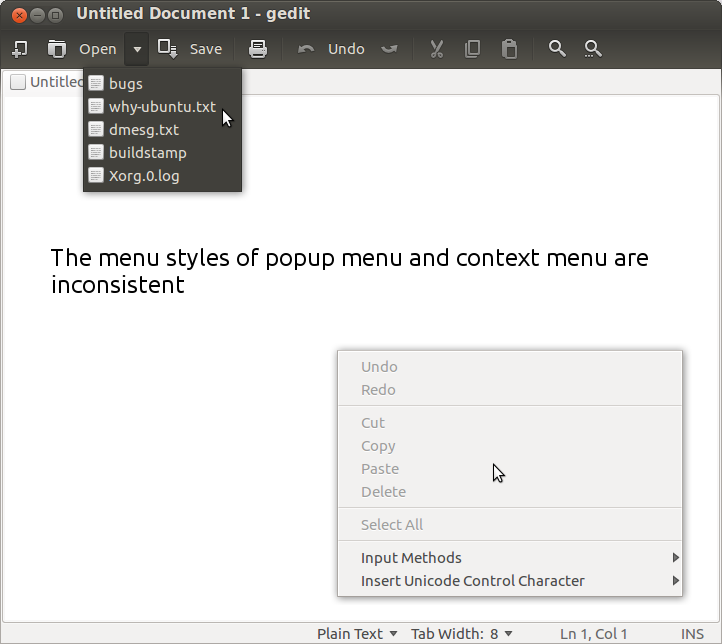 Since upgrading to Ubuntu 12.04, the menu styles are inconsistent between the normal menu and popup menu. Even after I reinstall the light-themes, please see the screenshot. This is intended, the idea is: light sources = light menus, dark sources = dark menus.